A Real Laptop or a Toy Laptop? If your child can get something worthwhile from your computer, it might be worth thinking about an inexpensive netbook- so many kids have them these days. 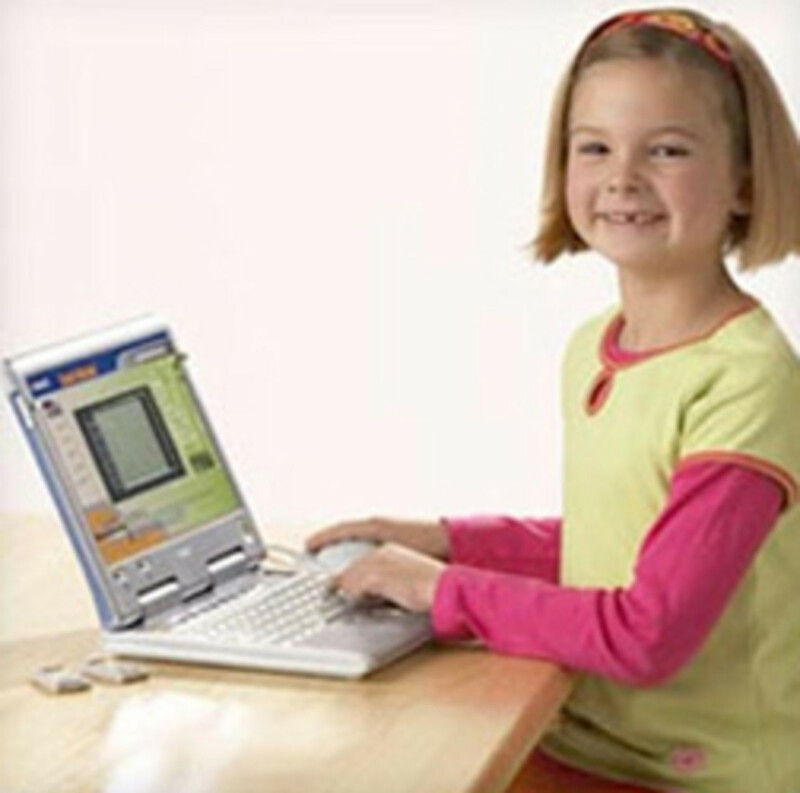 If a kid is just at that stage where computers look like fun but they can't navigate properly or use a keyboard too well, it might be fun to give them a laptop toy. A personal computer- even if it is a limited 'toy'- stimulates a learning urge that will see them through a lifetime. Early exposure to keyboard, mouse and learning programs are a great preparation for what they will find in school. The better kid's laptop toys have artificial intelligence learning programs to stimulate interests in language learning, mathematics, puzzle solving etc. 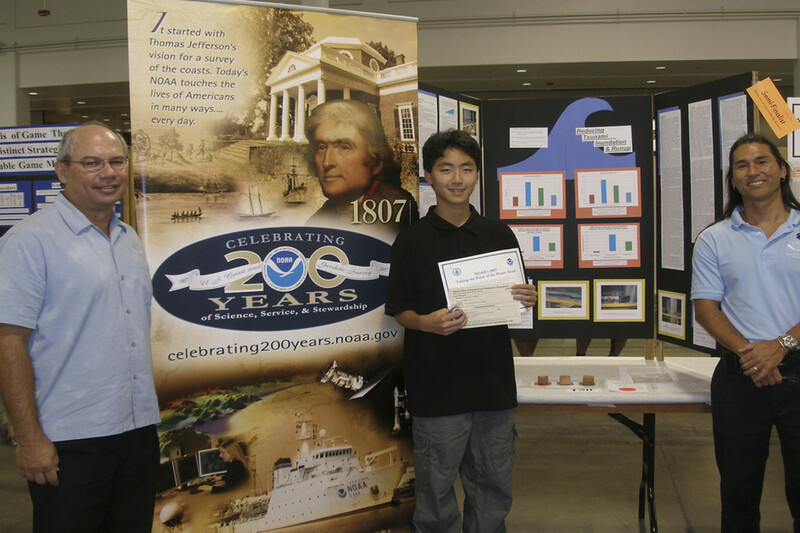 The feedback and progress reports hook most children and drive them on to learn more and more. This is more than just a toy. It has a 160 gigabyte hardrive. A five hour battery life. 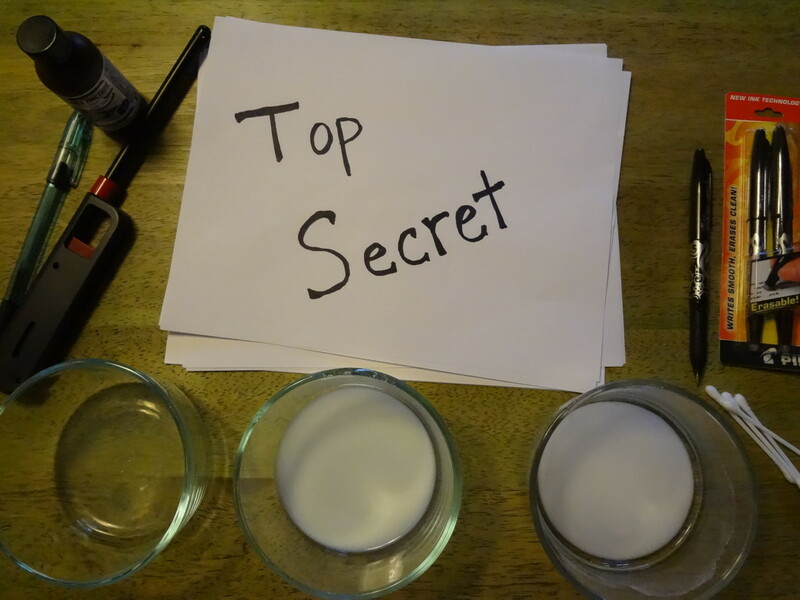 The Intel processor is quick enough to play demanding online games without any problems. The standard 1 gigabyte of RAM can be upgraded to 2 gigabytes. The wireless Internet connectivity, built in web cam, microphone and stereo speakers means no worries about tangled cables. It can be run with the Disney software and Disney Internet sites alone or you can switch to normal Windows XP and surf as you like (with parental controls of course). One drawback is that there is no built in DVD drive (though it will accept an external drive) but there is a flash card slot. The build quality is good and it will stand up to being dropped a few times. The keyboard is splash proof but it won't survive full immersion! So probably not a good entertainment at bath time. One of the first things most people say when they see this model is, Ok. the Disney design is great but how much extra am I paying just for the name? The answer is- it’s not a cheap machine and you are certainly paying something for the Disney mystique. 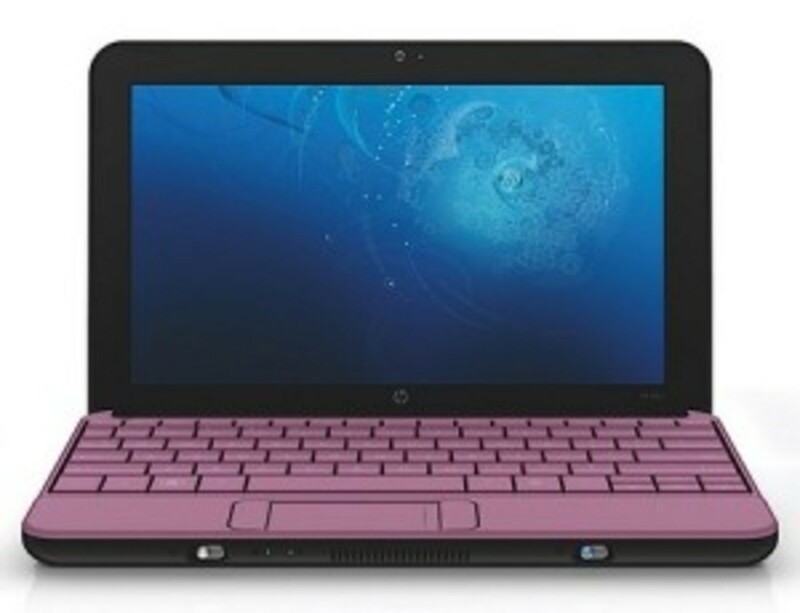 Even so, the specifications and features make it a quality nine inch netbook with or without the name. 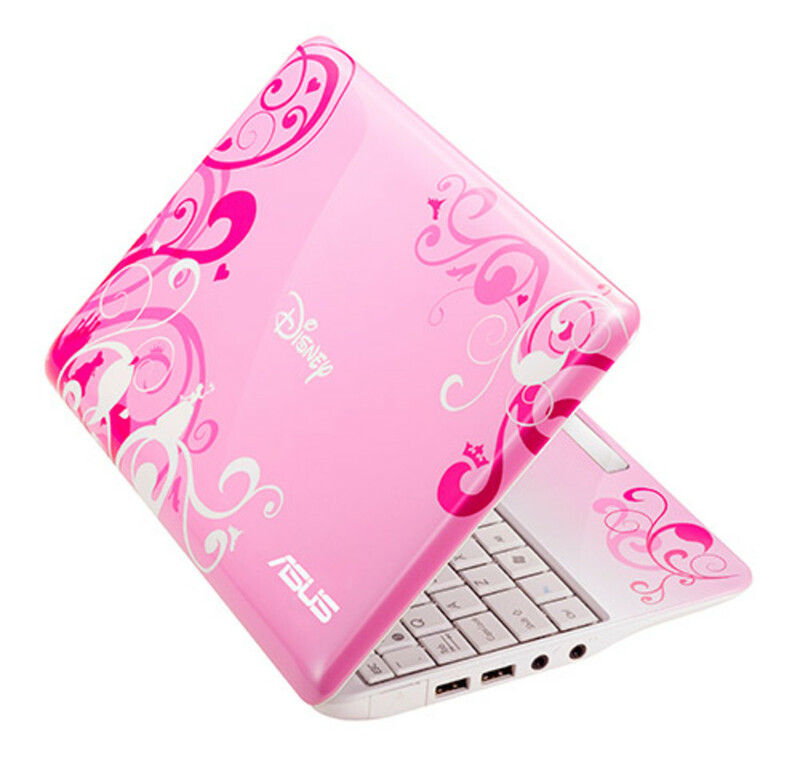 If you can do without a kid friendly case but want a real laptop you save a lot by going for an Acer or an Asus netbook. 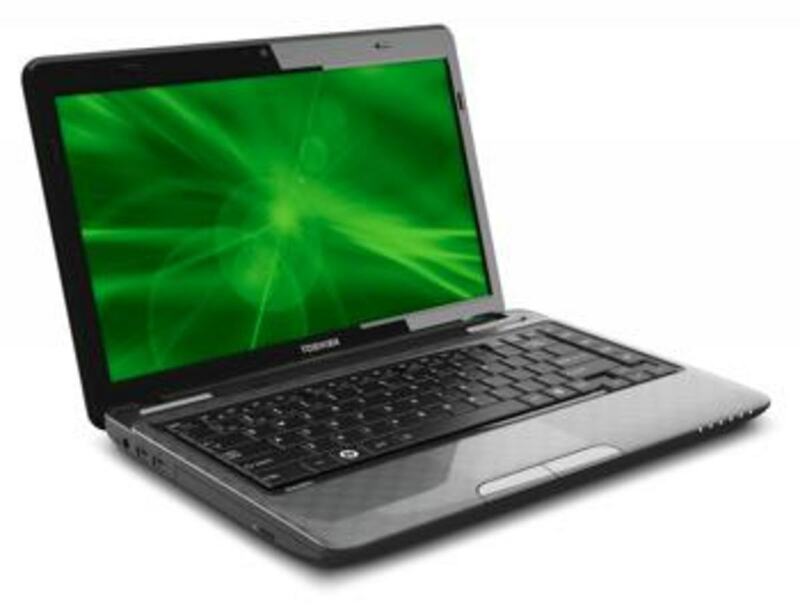 Alternatively, a Toshiba Laptop will give you a fully featured PC. Where it scores high is the eight hour battery life and the price. Online you can pick one up for for about $75 less then the Disney. This is a serious laptop at a reasonable price for older kids. 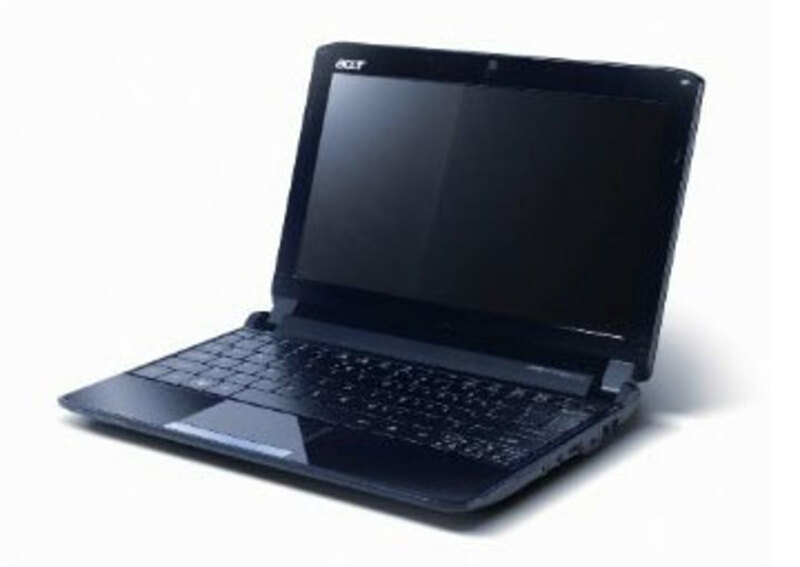 It has Windows 7 and a 2.0 GHz Intel processor with 500 GB of memory making it ideal for any student who needs full use of word processors and graphics programs. WiFi allows internet access. 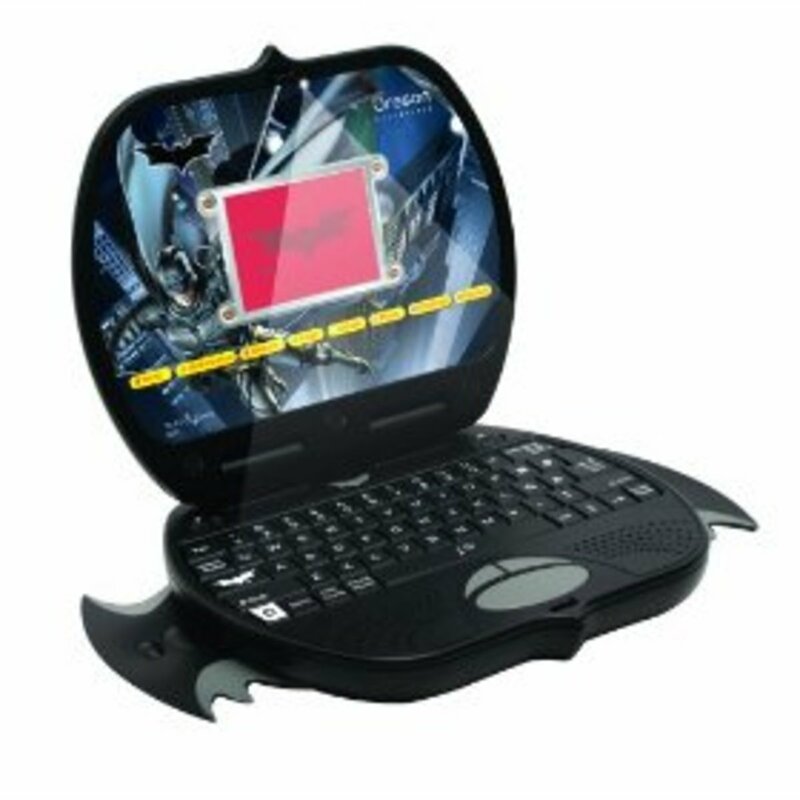 This is the kind of laptop any ten year old and up would die for. 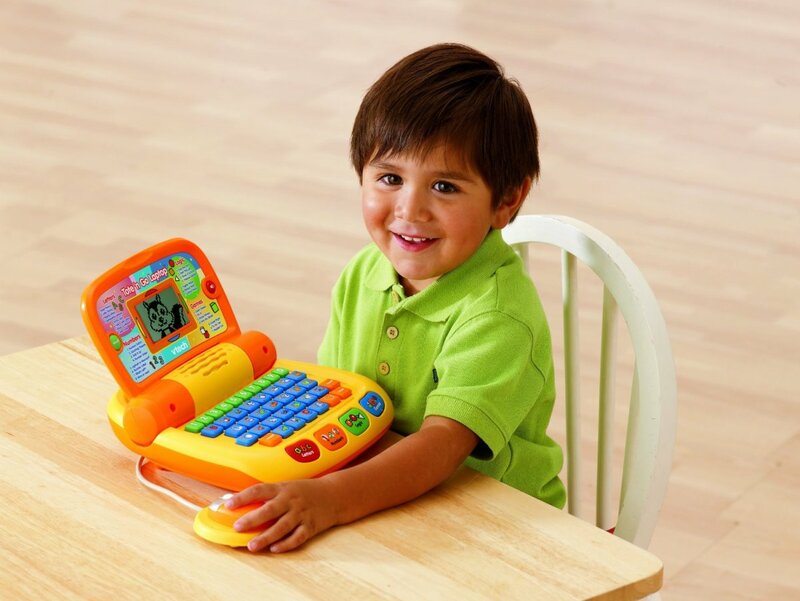 Vtech have produced one of the most popular range of kid's laptops. Children are guided through a whole range of activities and get a progress report on all that they have learnt. There are math activities, language learning activities and also spelling and English activities. 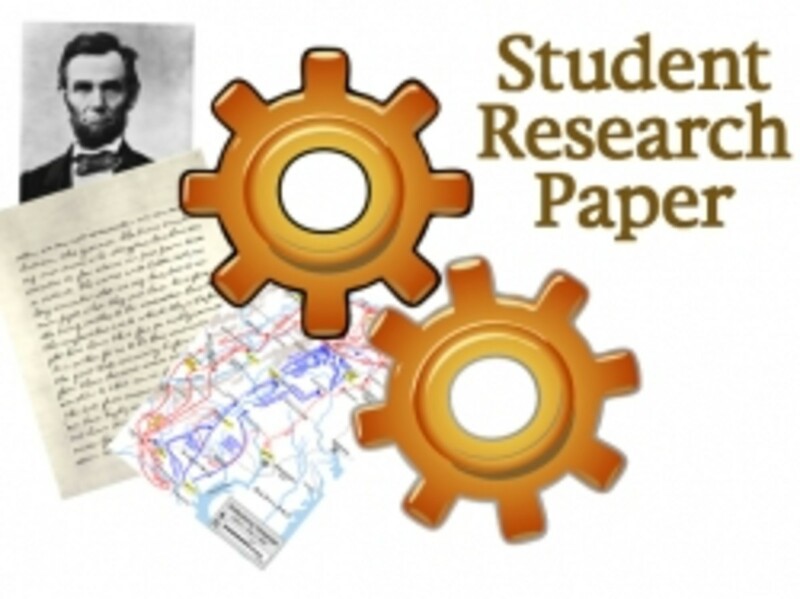 The computer can connect to the internet for further studies and games. It is not a fully featured Windows-style laptop like the Disney, above, but offers a lot more than a toy computer with full qwerty keyboard and mouse plus all the interactive excitement of a genuine notebook. One drawback is that it does not have a backlit keyboard so is difficult to use where the light isn't great, like the back of a car. The working area of the screen is also smaller than some parent's expect but seems big enough for most kids. There are some great laptop toys that key into kid's interests in movies and animations. Batman, Spiderman and Wall-E, all have laptop toys built around them. Four to eight year olds love these devices and each of them has plenty to offer on the learning and game play front too. One thing you will notice about these models is that they are selling for more than the original list price. They are attracting that much of a fan club. For reviews click through to Amazon. If you are looking for a toy that very young children can use to 'pretend' they are using a laptop, Fisher Price and Vtech offer inexpensive, tough, toy laptops with enough buttons to press and on screen reactions to keep little fingers busy and little minds happy. Tonymac, I missed this comment somehow until now! Thanks for the visit and I hope find that Disney laptop. Girls love pink. Thanks for the info - I have resisted buying a toy laptop for my 7 year old but can see that I am going to have to buy her the real thing one of these days. Must look into the Asus for that, I guess, unless you have some other suggestions. She would love a pink Disney one but I haven't seen one around here. Thx kim. Are you another hubber? Your address isn't showing.